The world is looking on in horror this evening as Notre Dame in Paris continues to burn. 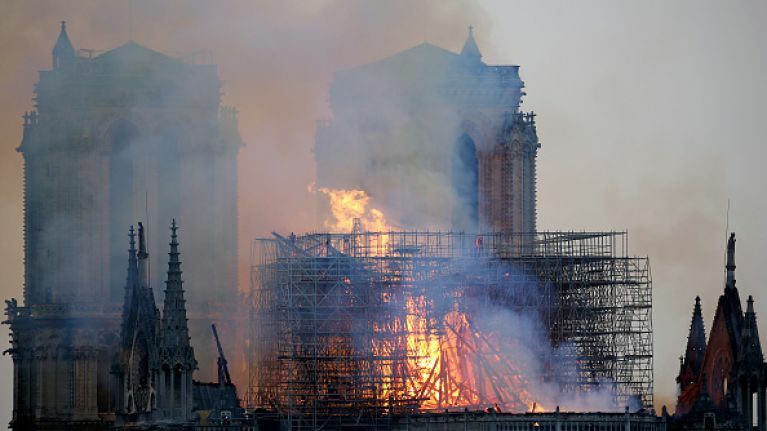 The iconic cathedral in the French capital caught alight earlier this afternoon. A major firefighting operation is under way and the area has been evacuated. Crowds have gathered as the blaze ravaged the 850-year-old structure. Reports say that the thousands of onlookers have begun to sing hymns. There has been an emotional reaction to the fire online, with many sharing favourite memories of visiting the cathedral. It took 200 years to be completely built. so sad to see what happened in #NotreDame de Paris. The landmark, which has made up part of the city's skyline for over 850 years, had been undergoing renovations. The fire is believed to be related to this building work. WIN a romantic trip to Paris plus a gorgeous celebratory dinner!